One of the common themes in recent public debate has been the law's inability to accommodate the new ways of creating, distributing and replicating intellectual products. In this book the authors argue that in order to understand many of the problems currently confronting the law, it is necessary to understand its past. This is its first detailed historical account. In this book the authors explore two related themes. First, they explain why intellectual property law came to take its now familiar shape with sub-categories of patents, copyright, designs and trade marks. 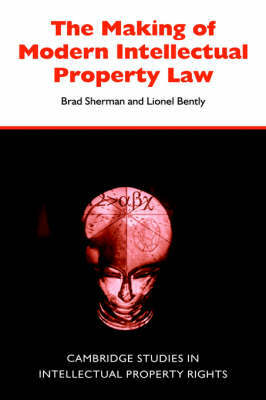 Secondly, the authors set out to explain how it is that the law grants property status to intangibles. In doing so they explore the rise and fall of creativity as an organising concept in intellectual property law, the mimetic nature of intellectual property law and the important role that the registration process plays in shaping intangible property.